Trying to think of healthy alternative options to take too work during the week can be hard. 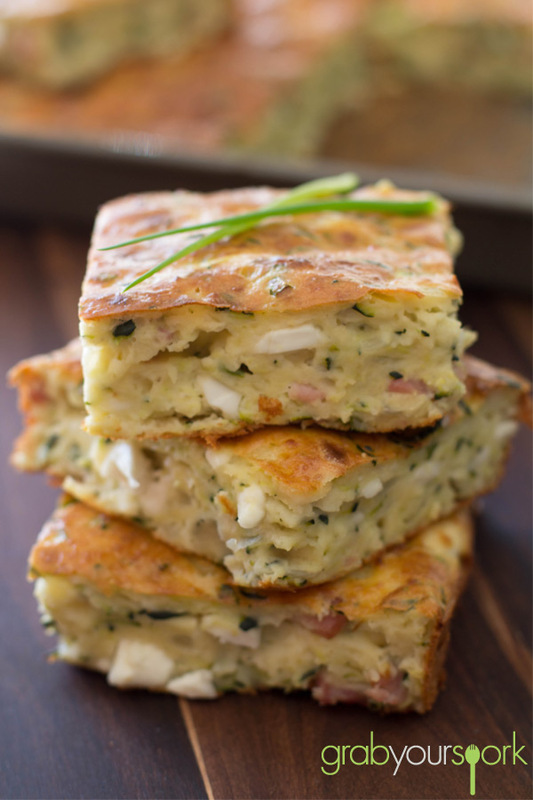 This recipe for Zucchini and Bacon slice is a great as not only is this slice ridiculously easy to make, it’s really tasty and is quite versatile. This slice can also be eaten hot or cold which is perfect for those who have kids going back to school soon. 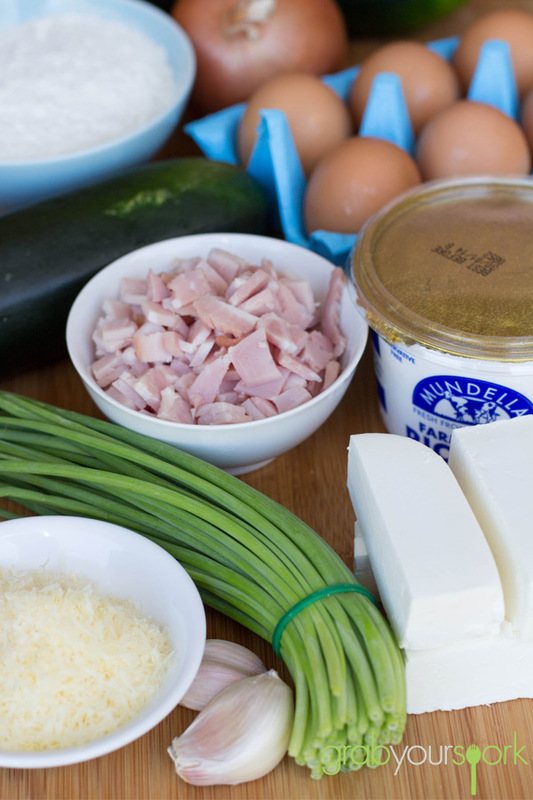 After our weekend ritual to the farmers markets and a new local fresh provisions shop we picked up the extra ingredients we needed that we didn’t have around the house. 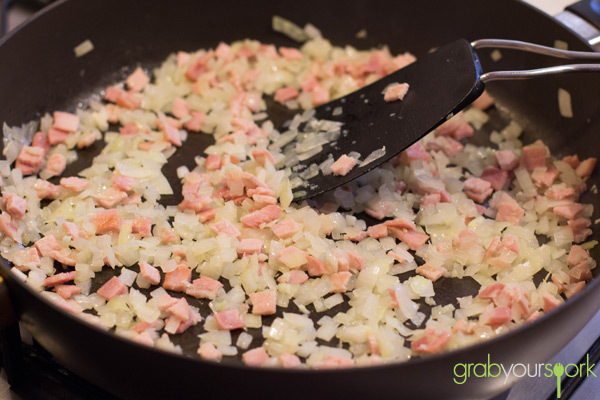 To start this recipe you need to cook the onion, bacon and garlic in a pan for about 5 minutes. Honestly just this smell alone will have your stomach rumbling! Once this is cooked off you need to add it too the remaining ingredients. It is really important to drain the excess water from the zucchini, as zucchini holds a lot of water! Once the ingredients are combined simply spread evenly in a prepared (well greased) pan and cook for around 40 minutes. 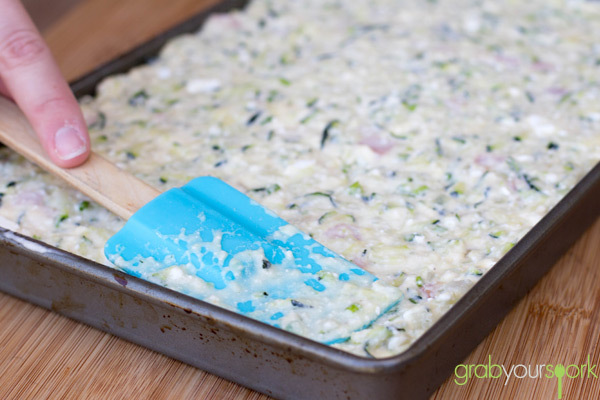 Serve this slice hot or cold, or even freeze in portions in an airtight container for up to three months! 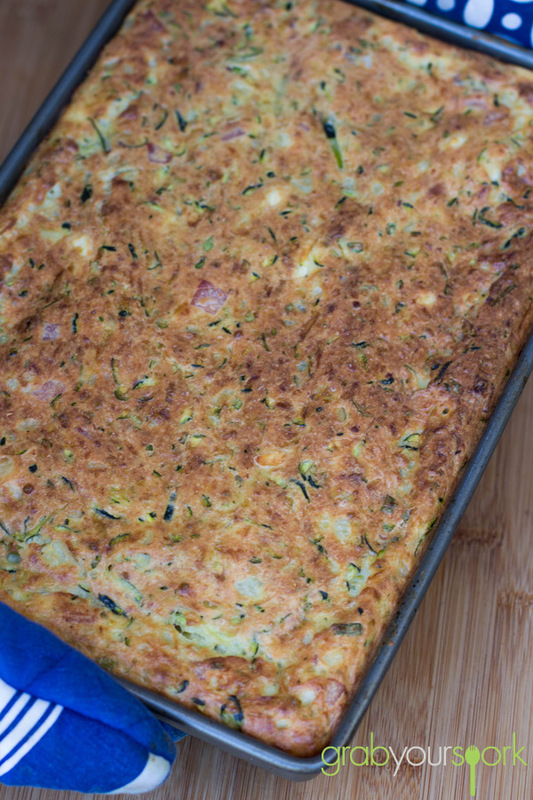 This recipe for Zucchini and Bacon slice is ridiculously easy to make and is perfect for a healthy lunch or snack. Heat the oil in a large non-stick frying pan over high heat. 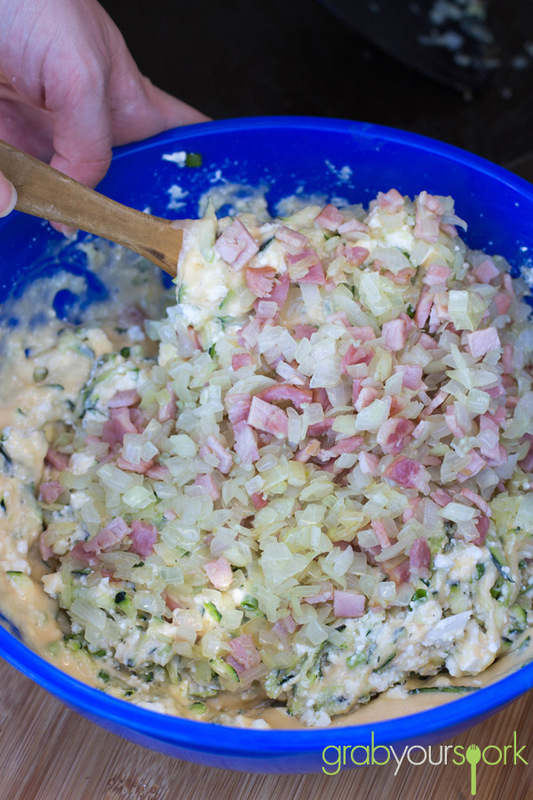 Add the onion, garlic and bacon and cook for 5 minutes or until light golden. 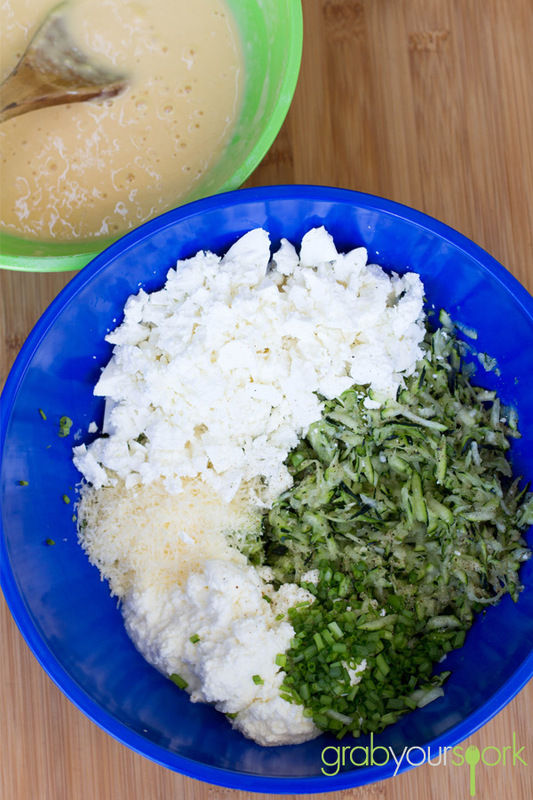 Place in a bowl with the zucchini, feta, ricotta, parmesan, chives, salt and pepper and mix to combine. Spoon into a lightly greased 20cm x 30cm tin lined with non-stick baking paper and smooth. 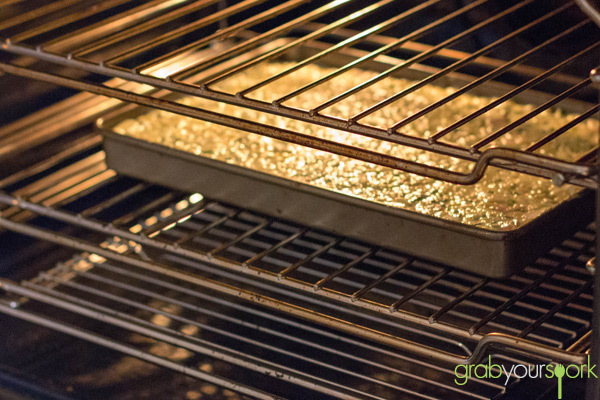 Bake for 40–45 minutes or until golden and cooked through. That looks totally delish! Definitely going to give it a try, other zucchini slices are a bit, well, zucchini-ish and bland. Wow that looks amazingly healthy and delicious, something I surely want to try. This recipe was fantastic!! Thank you so much. Super easy to make and absolutely delicious!! !